ON JUNE 22nd, AMA THE HIGHEST SKYMARATHON IN EUROPE, IS BACK IN ALAGNA! AMA stands for Alagna-Margherita-Alagna, and is the name of the highest race in Europe, which from the town of Alagna, at 1.191 meters above sea level, reaches 4.554 meters of Capanna Regina Margherita and then returns along the same route. The great success of the 2018 edition saw 300 world-class athletes from 23 countries rediscover the original route for the Gnifetti peak, at 4.554 meters. This unique event in the world crosses moraines, snowfields and glaciers for 35 kilometers with 7000 meters of hard ascent and descent. 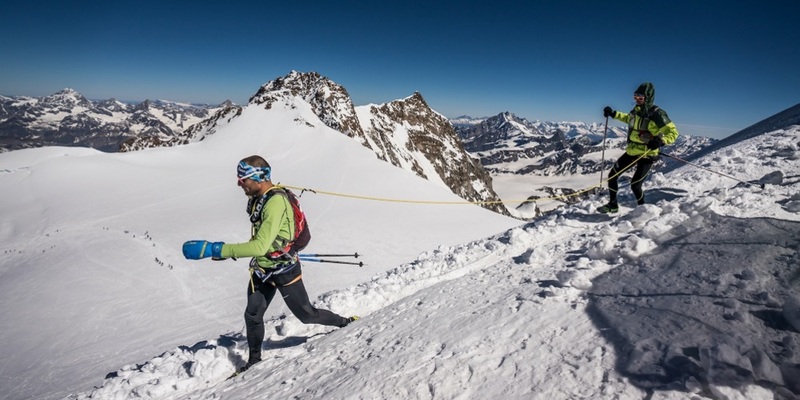 Once again the event will attract top athletes, international skyrunning stars and ski mountaineering champions to try the impossible challenge of beating the records set in 1994 by Fabio Meraldi in 4h24 ’and Gisella Bendotti in 5h34’. Today’s race, AMA, proposes a new format but keeps the spirit of the first pioneers alive and excites participants and the public! Mark the date, June 22nd 2019!